Updated with more images at the end of the gallery! SPAO has just released their slim hoodies collection for the year 2011,with the girls and Super Junior endorsing for it as usual. Check out the promotional video and photos under the cut. Following the previous release,Goobne has released yet another version of the CF for the new month. Check it out as follows and go “Oh my god!” together with the ladies! Also,head under the cut for the newly released February wallpaper! You guys must be familiar with The One,given that he had recently collaborated with our dorky leader,Taeyeon,on the duet ‘Like A Star‘. The song has been a hit since its release with the combination of their smoothing vocals. And now in support of The One’s new album,our ladies had specially recorded a video message. Check it out as follows. VISUAL DREAMS MV IS OUT!!! Note: following post was taken over by dreadtech due to time constraints. The Intel Conference has jsut finished and the MV is stated to be released in mere hours, until then, the delayed stream of the intel conference will be streamed by soshified at 12am KST. For those who can’t watch or want to catch what happened, hit the Jump, this post will be the post to be updated with the MV, the MV is OUT! A little longer than a month ago,the broadcast of the MBC Enjoy Today episode featuring our ladies had been aired. Fast forward to today,Soshified has already gotten it fully subbed and ready for us to enjoy! You can download it here(50 post counts required) or catch them just under the cut. Soshified@Twitter : We know some people have trouble with Dailymotion, but it’s the next best alternative since YouTube blocks some of the videos. Yoong’s Back With A Star Call! It has been over a month since the last Star Call from Seohyun,and it seems like our deer Yoona is back with a whole new call recorded just for us! 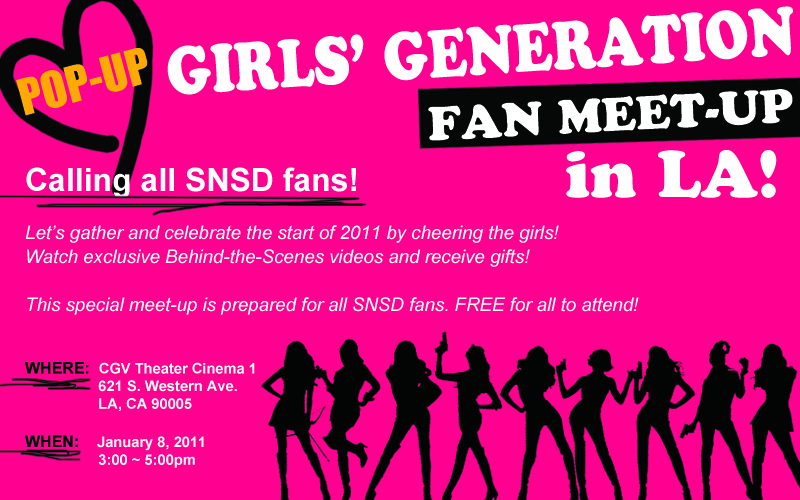 Earlier on we had reported on the Girls’ Generation fan meetup session in LA,it had finally took place a few hours back and just a moment ago,a fancam was surfaced. It shows a footage which has never been seen before,including scenes from the making of the Hoot MV & the first photobook,as well as scenes from the 1st ever fanmeeting. Check it out the first part(with English subs for the ladies’ speech) under the cut and stay tuned to this post as we bring to you the newer part(s) as soon as it is available. Following their senior DBSK/TVXQ,our beloved ladies are set to release their very own “All About Girls’ Generation“. 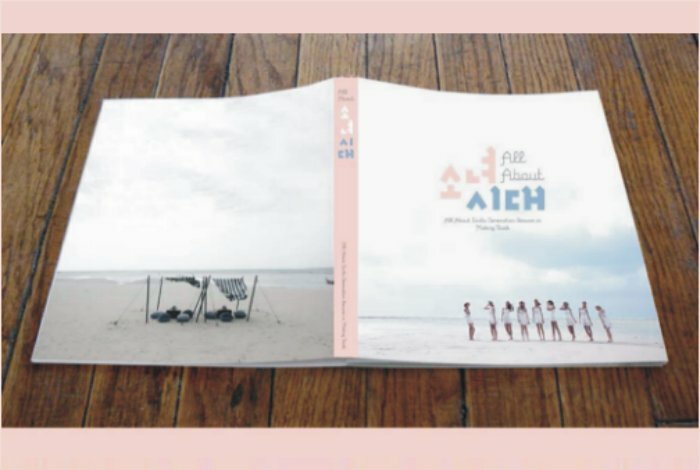 It will consist of 2 parts,namely the photobook and the DVD. They are rumored to be released later this month and March respectively. They were in Phuket,Thailand last August for the shoot. Head under the cut for the previews.